Gus Poyet fears Sunderland have been “killing” striker Steven Fletcher since he took over. Scotland forward Fletcher has not hit the back of the net since his goal in the Wear-Tyne derby, and was even dropped for the Chelsea game last week – an unprececented move for one of Sunderland’s front-line forwards. He then delivered an unconvincing performance against Tottenham, but Poyet feels that it is unfair to highlight Fletcher’s poor form as a reason for their flat-lining fortunes. The Sunderland boss feels that the striker has been put in a difficult position by the flurry of red cards and own goals that have undermined their away displays since he took over. “Sometimes I say we are killing him (Fletcher),” Poyet said. “We are leaving him up front on his own against Hull for 50 minutes then we left him on his own up front for Stoke. He’s always someone who is standing in a position that is difficult. Poyet admits that Sunderland have not created enough chances for their front-line forward – arguing that it was hard to recall a bad miss from Fletcher. And asked whether the striker’s goals were going to be crucial to Sunderland’s hopes of survival he said: “Sometimes we only point to one player and I think this is a team game. 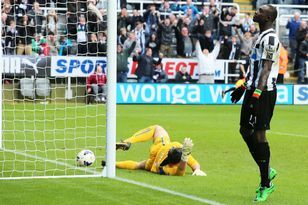 Of course the goalkeeper needs to save and the striker needs to score: that’s common sense. I would like to say it’s a team effort. “If the striker is having chances and not scoring then yes, it will become a problem for that player individually, but I don’t think this is the case. “I’m working on trying to make sure that we have more chances than normal and then that the players at the end of it will take their chances. That is why strikers like Steven and Jozy are expensive, because when they take their chances they become very, very important for the team. “If he missed a load of chances I would say he is lacking in confidence but he has not missed too many because we have not been creating many. 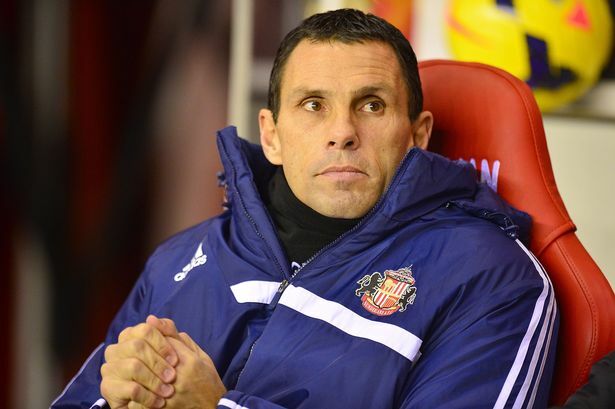 Poyet admits that it feels like a “must-not-lose” game for Sunderland but says he will not take unnecessary risks. “I think it will depend on the game whether we take any risks,” he said. “I don’t like to plan for certain things because you never know what is going to happen or how the game is going to go. I don’t like to go into a game thinking this will happen or that will happen because that is like a playstation game and it’s not. “It will depend on so many things like how we are performing, who is performing, how the opposition is performing, the decisions by the referee, are you eleven v eleven. There are so many things you need to take into consideration and that is the job of the manager. I don’t try to think too far ahead because it’s impossible to know how we are going to be.